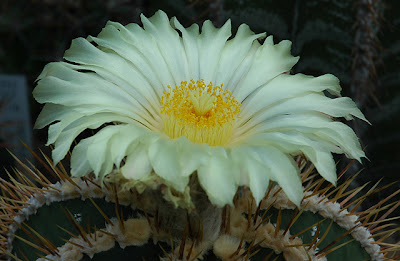 The botanical garden was established August 2, 1600, and has moved and changed during the centuries. 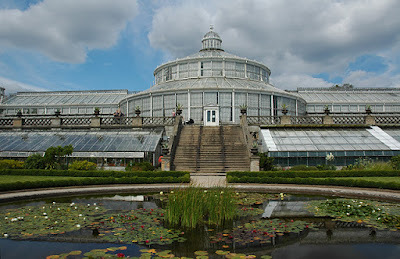 The fourth and present incarnation of the garden was opened to the public on October 9, 1874, 274 years after the founding of the first botanical garden (the vanes on the conservatory roof date the construction to 1873). 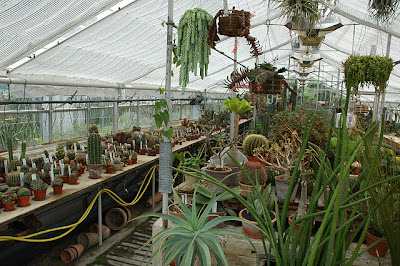 The cactus and succulent plants have their own dedicated greenhouse in these wonderful settings. Facing the stairs leading to the main conservatory building (the palm house), the cactus and succulent house is located to the left of the stairs, one level lower than the palm house. 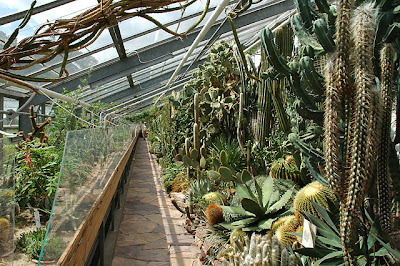 Inside the cactus house you’ll find an abundance of plants – both small globular types and huge columnar plants. It seems like theft of the smaller plants is a problem as they are protected by glass plates and the whole house is monitored by video. 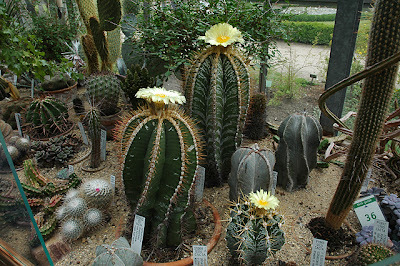 The plants all look vigorous and well tended for, as for example this group of flowering Astrophytum ornatum plants (for comparison you can check the A. ornatum growing in the Myriad Botanical Gardens, Oklahoma City). 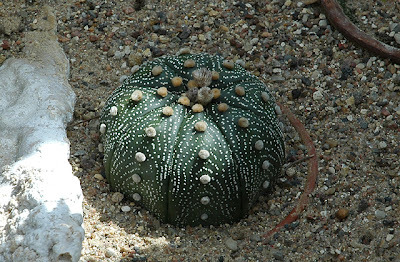 A large, fat Astrophytum asterias was hiding in the shadows of the larger plants. 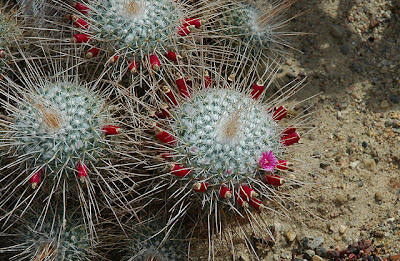 And a Mammillaria geminispina was displaying its last flowers along with a multitude of dark red fruits. 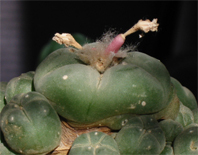 Unfortunately I couldn’t find any Lophophora, Ariocarpus, or Strombocactus in the publicly accessible houses; but the garden also has houses that are not open to the public and reserved for experiments and plant propagation. Maybe it’s just wishful thinking, but I’m almost positive I glimpsed a collection of ariocarpi and a few lophs inside one of these houses. 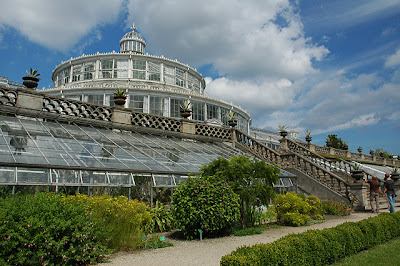 If you happen to be in Copenhagen a visit to the Botanical Garden and Museum is highly recommended. It’s a tranquil oasis situated in the center of a bustling city, and the historical conservatory buildings are beautiful in their own right (the garden was declared a preserved site on January 31, 1977). You might not find a lot of the rarer species in the houses open to the public, but the plants on display are abundant, well grown, and clearly marked.